Florian Egermann from Cologne describes himself as an artist, activist and astronaut. And as the first, at least, he is very successful. 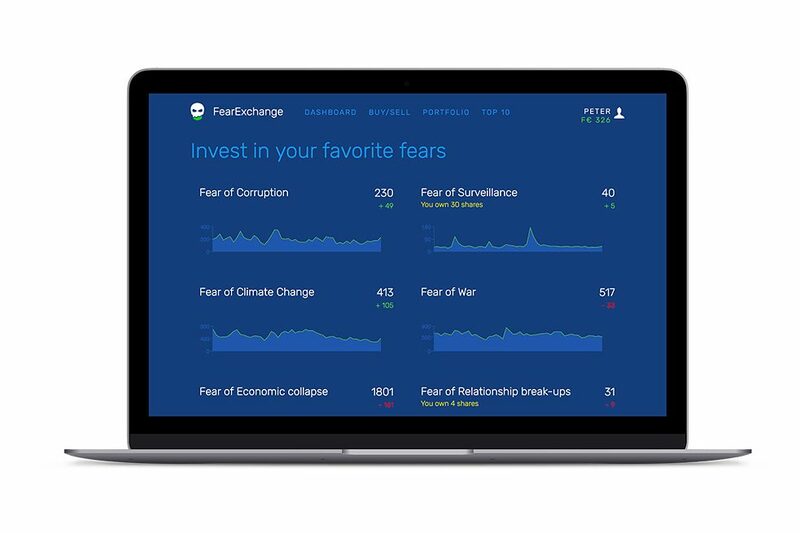 Most recently, the founder of the Failed Artists International network launched his own virtual currency, the F€URO, which can be used to invest in a range of fear stocks on a virtual Fear Exchange.What will cause the next panic – corruption, surveillance, climate collapse? Players who think they know the answer can try their luck on the Fear Exchange and perhaps become a Top Fear Broker embracing the maxim: "Don't conquer fear. Gamble on it." !Mediengruppe Bitnik (which software developers read as the NOT Mediengruppe Bitnik) is a Zurich- and London-based duo that attracted attention in 2013 when they sent WikiLeaks founder Julian Assange a camera that broadcast its journey through the postal system live on the Internet. In a subsequent project, they created the Random Darknet Shopper, an automated bot that placed random orders on illegal darknet markets and had the products sent directly to the gallery space. In 2015, their installation H3333333K added a glitch – a distorting digital image error – to the facade of the House of Electronic Arts Basel.